If you’re looking for a quality, trusted professional carpet cleaning company for your office or commercial premises then look no further than Clean Direct. Established over 25 years, we serve business customers of all sizes in Milton Keynes, Buckinghamshire, Bedfordshire and Northamptonshire. What do your customers see when they visit your office? Do your staff feel happy working in a dirty area? 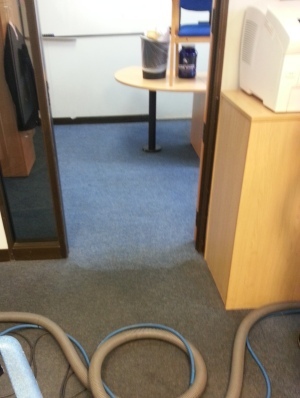 Revitalising your carpets with a powerful clean can do wonders for the way your environment and business is perceived. You never get a second chance to make a first impression and we can help you deliver that powerfully. We are a flexible company and understand the need for your business to continue to function. Our experienced operators will work at a time that is convenient to you, ensuring the absolute minimum of disruption to your normal operations. Regular maintenance packages can be delivered on a weekly, monthly or quarterly basis. Check out the cleaning testimonials from satisfied customers to see the difference Clean Direct can make to your business.